Is the lighting industry a low price competition? What is the cause of thinking? According to the report, the global lighting market will reach $82 billion 100 million in 2015, of which LED lighting applications are expected to reach $25 billion 700 million, with a market penetration of 31%. But it is worth noting that household lighting will be plunged into price war, and the industry may turn to industry and commerce. The report corresponding to the above report is that at the just ended Guangzhou International Lighting Exhibition, many enterprises have reduced the price of LED's main product T8 lamps to less than 10 yuan, and many devices and lamps exhibitors expect that the prices of LED and related products will be reduced by 20%-30% in the year. 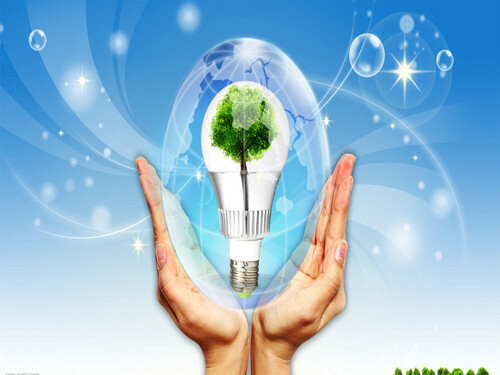 The author and the president of the Guangdong Lighting Association, Mr. Quan Jian, consulted the current competition in the industry, and got the following reply: "this industry has been explosively grown in the past few years. After the full release of the production capacity in the past two years, some products are identical, the price competition is intense, especially some no core technology, Low end enterprises, they are more stressed, so there are some (business owners) running away. I think this is an episode in the process of industrial development. "Everyone else is doing some low-end and homogenous products, so it's better to develop new products, such as agricultural applications, biological applications, communications applications, etc." "Now the professional vertical lighting business platform actually gives small and medium-sized enterprises an opportunity to survive." Li Linke, chairman of Shenzhen Kim Yitai, said that e-commerce has changed the situation of the lack of bargaining power in the previous small and medium-sized enterprises, and has more opportunities for dialogue through the platform small and medium enterprises and large enterprises. Secondly, on the platform, the small and medium-sized enterprises can also adopt a group purchase to reduce their own costs and strive for more. The space for survival. Some new platforms are brewing and will soon emerge. Will the emergence of these new thinking and new models shape the lighting industry? There are two key elements: what has it changed, what is the new value, how to protect the interests of the parties and redistribute it? Two, how strong it is and how long it is. "Businesses want to do not light season, it is necessary to take the initiative to attack, appropriate promotion; of course, do not put a lot of advertising on the brain, because if there is not too much demand, the number of advertisements will not be bought. "Accurate positioning is very important!" LED lighting channel network general manager Qu Qiang said, "in the harsh price war, tailing follow other people's steps is easy to be dragged down, WeChat marketing advantages and operational convenience in the LED lighting industry has begun to show and continue to be proven! The enterprise is also focusing on the focus of the work. It has been put on the micro marketing, and has successfully added tens of thousands of accurate target customers fans in a short time.